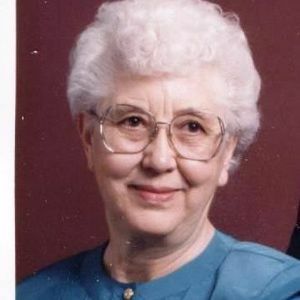 Fern Branson, 81, Breckenridge, MN, formerly of Fairmount, ND passed away on Friday, July 5, 2013 at St. Francis Healthcare Campus, Breckenridge. Funeral services will be on Tuesday at 10:30 AM at First English Lutheran Church, Fairmount with Rev. Anthony Ahrendt officiating. Visitation will be on Monday from 5 PM to 7PM with a prayer service at 7 PM at Vertin-Munson Funeral Home, Wahpeton, ND. There will also be visitation one hour prior to the service at the church on Tuesday. Interment will be at Fairmount Cemetery, Fairmount. Arrangements are entrusted to Vertin-Munson Funeral Home, Wahpeton, ND. Fern was born on July 17, 1931 to William and Caroline (Neitzel) Bellin in Summit Township, near Great Bend, ND. She grew up learning to speak English from the radio in a German home and attended school in Hankinson, ND and graduated from Hankinson High School in 1949. She received her teacher's certificate from Valley City Teacher's College and taught for one year at a country school south of Hankinson. She then worked in the telephone office in Wahpeton, ND. Fern was united in marriage on December 16, 1951 to Rex Branson at Immanuel Lutheran Church in Hankinson, which was also her confirmation church. They lived on the farm in Fairmount Township and raised their children. Fern became a resident of St. Francis Nursing Home in Breckenridge on July 1, 2004. Fern was a member of First English Lutheran Church and the LWML. She served a term as the Historian for the Missouri Synod Church North Dakota district. She was also a member of the LaMars Township Homemakers club. She enjoyed bowling, sewing, traveling for the winter to Corpus Christi, TX, and doing family history. Fern is survived by her husband, Rex Branson, Fairmount, ND; her sons, Dave (Jani) Branson, Fargo, ND, Jerry (Katherine) Branson, Fergus Falls, MN, Tom (Renae) Branson, Fairmount; her grandchildren, Rachael ( Tony) Wentworth, Nikki (Jason) Eckman, Chalsey (Brad) Neva, Gunnar Messner, Robert (Kandy) Kennedy, Tim Kennedy, Becky (Dave) Kotolik, Jennifer Branson, Christina Johnson, Michael Dibeneditto, Thomas Dibeneditto, Sheri (Brandon) Reems, Cindi Branson; her fourteen great-grandchildren; her one great-great granddaughter; her brother, Dennis (Mercedes) Bellin, Sr., Hankinson, ND; and many nieces and nephews. She was preceded in death by her parents, and her infant son, Paul in 1956. The beautiful and interactive Eternal Tribute tells Fern's life story the way it deserves to be told in words, pictures and video. Our thoughts and prayers go out to the Branson Family.